Jennifer Charton is a professional artist and teacher residing in Middletown, NY. Originally from the Bronx. She was inspired at an early age to be creative with drawing and painting and she has been an artist since she was a child. 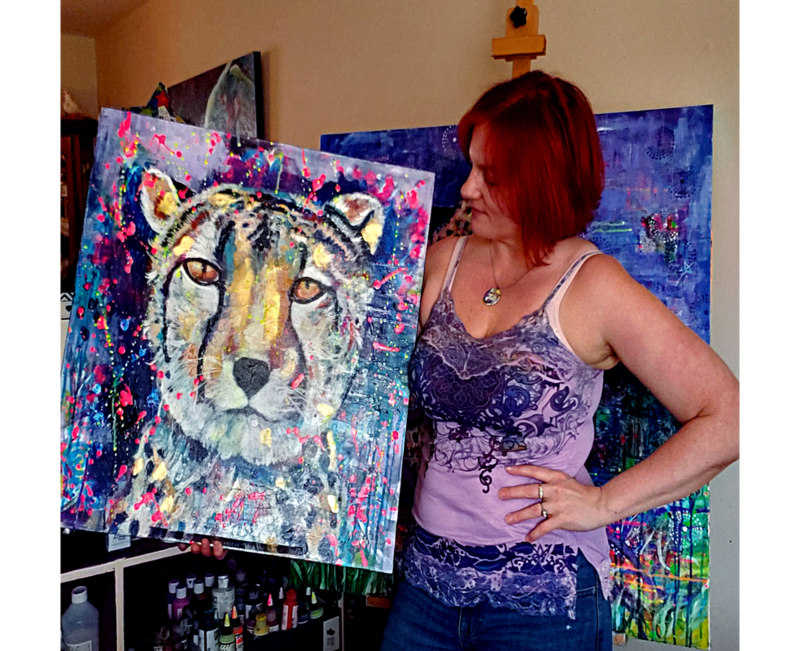 Jennifer paints images of people and animals using rich, vibrant paint and collage materials on canvas. Each piece is like a splash of energy; she uses a touch of whimsy and a hint of mysticism to draw and hold the viewer’s interest. Deep, resonating blues call to mind the mysteries of the infinite – the depth of the sea, the vastness of the sky – as well as providing a lush counterpoint to the warmer colors that Jennifer often uses to render her subjects. She is a holistic healer as well as an artist, and connects with people in a meaningful way through art. "My art has become a very ‘spiritual’ practice for me and I view the images I create as catalysts for healing and transformation." ​Jennifer's work is created to invite the viewer to not only connect with the piece, but to be challenged and transformed. She has expressed herself through her art for as long as she can remember. Helping others been the greatest gift all! Jennifer has been a teacher in the wellness industry for over 20 years and recently began offering PAINTING WORKSHOPS which has been very rewarding! "It has been exciting to find out that my very first passion, ART is connected with the healing journey I have been on and I do not have to choose one over the other!"